If you want to make extra income online, it can be challenging, especially if you don’t know where to look. The good news is that there’s another way to make money online. It’s called Clicksdealer.com. In this Clicksdealer review, we’ll talk about what the platform is, how it works and try to answer the real question – is it worth it? Clicksdealer.com is an online ads-flipping platform which provides both experienced and newbie online marketers the opportunity to make money by buying and selling advertising placements. On this platform, you can purchase the best banner advertisements in real-time, directly from the publishers of those ads, and any time a user clicks on those ads, you get paid. How much you make is dependent on how your ads have performed, as well as how many ads you own. There are various categories on the Clicksdealer platform such as Fashion, Automotive, Electronics, etc., all contain banner ads of highly popular brands such as Porsche, Lacoste, Nike, Toyota, Dell, Adidas, and others. If your ads are doing well, then you have two options. You can keep the ads and continue to make money from them, or you can re-sell them to whomever bids the highest amount for that ad/s. Therefore, you can make money by buying and selling ads. In fact, that’s the second way in which you can make a profit, the ad flipping process if you will, where you can sell your ad (or multiple banner ads) to the highest bidder, just like in an auction, so the selling price can definitely be higher than the buying price. 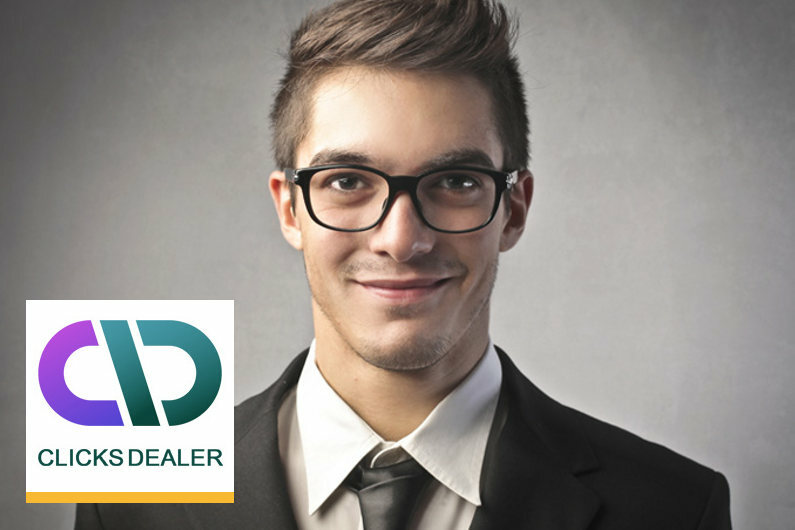 The first thing you need to do is open an account with Clicksdealer.com and purchase your first advertising package. The minimal deposit amount starts at $250. Note: Depending on the amount you have invested, you will be given an account type. The minimum investment of $250 lets you open a Bronze account, which means that you will get a 20% matching bonus on your earnings. A Silver Account means you will get a 50% matching bonus on your earnings and you will also get a dedicated account manager for a month. A Gold Account gets you a 75% matching bonus as well as a dedicated account manager for three months. Once you log in to your account, the first page you will see is your dashboard. This is where you’ll get an overview of your ads and the income you have generated. On the left-hand side of the dashboard will be a list of options that you can click on to navigate your account. Once you want to start purchasing banners, all you need to do is click on “Marketplace,” browse through thousands of ads, and decide that you want. As mentioned previously, there are multiple ad categories to choose from, ranging from fashion to cryptocurrencies, and various big brands banners you can choose from. Note: When searching through the marketplace, if you see an ad that has a “Bid” instead of “Buy” option, it means that someone owns that ad and that person is selling it. Once you’ve purchased your first ad/s, you can now create your own banner advertising campaign/s, and start advertising big brands’ products online. The whole process is quite intuitive, and each of your banners will be placed on multiple third-party sites, hopefully gaining lots of impressions and clicks. The “My Bids” page lets you keep track of the bids you have made on ads, and the “Transactions” and “Market History” pages provide you detailed information about all the work you’ve been doing on the platform, i.e., a recap of your previous activities history. Also, you can earn as much as $1,000 extra by inviting your friends to join the platform through the “Invite Friends” page. And if you’re still not sure on how to navigate the platform, just watch the video tutorials walkthrough or get in touch with Clicksdealer’s online support agents. Clicksdealer seems like a legit and solid way to generate some extra income online. However, this is not a get-rich-quick scheme or a “push-button” system. It requires patience, time and effort to make money on the platform, and although it’s indeed doable, yet you need to plan your strategy and assess the ads before you buy them, or you’ll just waste your money.